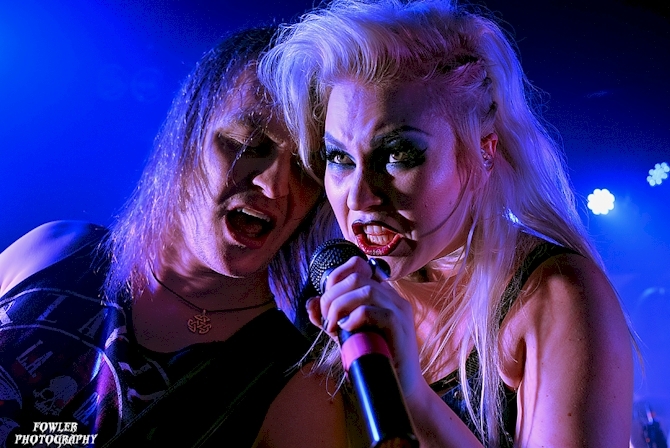 New Battle Beast Concert Report! Through the past few years, Battle Beast have steadily grown in popularity here in Finland and abroad in mainland Europe with their penchant for releasing chest-pumping metal anthems while putting on a live show that is filled with a furious energy. The band's latest album, 'Unholy Savior' topped the charts here in Finland and the band embarked on a mainland European tour in support. The show here in Kuopio marked their second date in their homeland after returning from that tour. And, of course, people who follow the band know this show and the band no longer includes guitarist Anton Kabanen. By the end of the first song, the crowd was already whipped into a frenzy. It also should be noted that the new material from 'Unholy Savior' translates very well live and fits into the setlist very nicely alongside the older songs. 'Touch in the Night' really was great to hear live and Noora even showcased more of her vocal range on some older songs and really belted out the 'Iron Hannnnnnnndddddddd…' for a very long amount of time that was really cool to hear. I managed to turn around and look at the crowd behind me and noticed people from the front to all the way in the back were throwing hands in the air and rocking the house which was great to see. The fans were really pouring out the love.